When central banks are actively engaged in price controls through QE and price pegs, prices become distorted: Some markets show huge directional momentum, like the Japanese Yen, while others – such as the British Pound – have failed to follow through, creating devastating losses for trend following momentum traders. So how do Forex traders profit when central banks are actively manipulating prices? The best approach is to trade a robust basket of momentum based trend following and volatility breakout strategies combined with counter trend intermarket strategies: The exact methodology we use in our proven Forex Signals Program. Today we will take a look at how our intermarket signals are performing on the Swiss Franc through the current SNB currency control environment…. 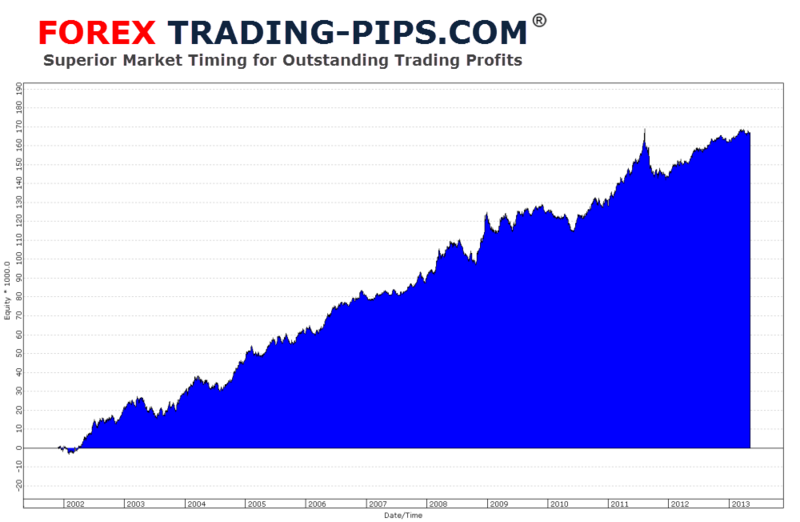 Below is the equity curve showing net profit 1 lot per trade on Intermarket Signals USD/CHF which uses one correlated intermarket input to determine underlying strength and weakness in the Swiss Franc. When USD/CHF is oversold against our intermarket we BUY USD/CHF. 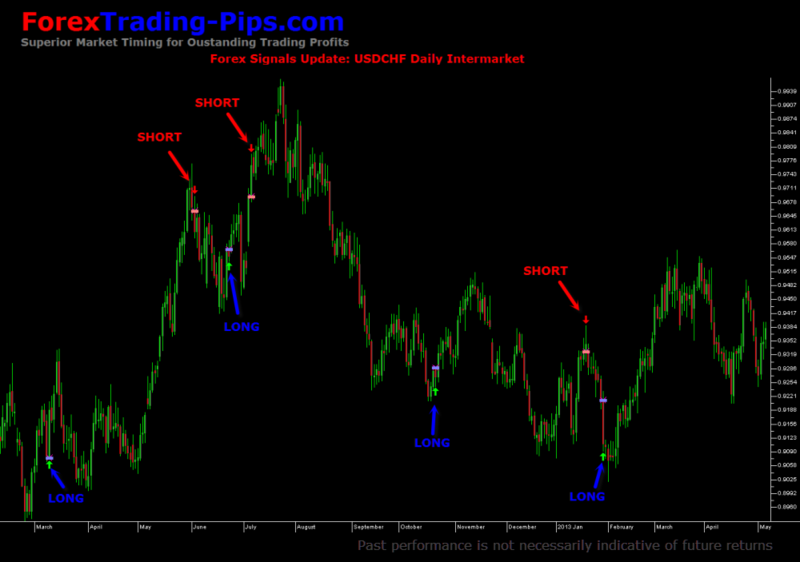 When USD/CHF is overbought against our intermarket we SELL to go SHORT USD/CHF. We do not use Stop Losses on any of our intermarket trading… stop losses HURT intermarket trading performance. Instead we control risk through advanced position sizing technology which we make exclusively available to our Forex Signals clients. As you can see intermarket trading has proven to be incredibly effective through the global financial crisis and central bank driven markets of the past few years. When markets are trending our profits are derived from our trend following, intermarket and volatility breakout systems. When prices are choppy we extract our profits from our daily and intra-day intermarket trading. The net result from trading multiple uncorrelated systems, markets and time frames is reduced draw-down and significantly improved risk adjusted returns on our equity. If you would like to learn more about trading with a quantified statistical edge in the Forex markets get started today on a risk free trial of our proven Forex Signals Program. Your trial is backed by a ‘no questions asked’ 100% money back guarantee: if for any reason you are not 100% convinced that our Forex Signals Program will immediately put you on the path to achieving all of your trading goals simply contact support within 7 days of starting your subscription for a full refund!